The unemployment rate in the Eurozone’s 4th largest economy continues to soar, and has now reached 27.2 percent. After 5 years of unrelenting economic crisis, Spain’s deep depression shows no sign of ending. The IMF projects further contraction in the Spanish economy for 2013, with the unemployment rate expected to continue to rise. The beleaguered Spanish Prime Minister, Mariano Rajoy, has nothing to offer the six million plus unemployed Spaniards, except for more austerity measures, masquerading as “economic reforms.” With the worst jobs crisis since the end of the Franco dictatorship, the political leadership in Spain is impotent, and unrest among the unemployed and disaffected is increasing, with calls for mass demonstrations opposing Madrid’s economic policies proliferating on social media. With Spain’s economy in tatters, can democracy survive, or will the economic crisis lead to calls for a “strong man” to rescue the millions of unemployed from the utter hopelessness now raging on the Iberian peninsula? Just when everyone thought the Cypriote banking disaster could not get any worse-how can it get worse when the government is desperate enough to steal bank depositors’ money-it has suddenly become much worse. The President of Cyprus, Nicos Anastasiades, is back on his hands and knees, begging the European Union for more help. It turns out that the original estimate for the cost of bailing out Cyprus and its banks of 17.5 billion euros was way under the mark. In only a couple of weeks, the latest figure on the bailout requirement is now 23 billion euros, or about thirty billion U.S. dollars, a sum exceeding the entire GDP of Cyprus. Having already announced plans to seize a significant portion of bank deposits in excess of 100,000 euros, the desperate Cypriote government is frantically scrambling for resources to pay its share of the ever-growing cost of bailing out the insolvent banks of Cyprus, including selling off the nation’s gold reserves. Let us recall that the root cause of the banking calamity on Cyprus was the decision by the Eurozone and IMF to force creditors holding Greek sovereign debt to take a haircut- a move that inflicted devastating losses on Cypriote banks. And with the unemployment rate in Greece now exceeding 27 percent, don’t expect the “prescription” emanating from Brussels to be any more benign for the already crippled economy of Cyprus. In summation, the economic unraveling being imposed on Cyprus is a microcosm for the European monetary union’s disastrous continuity of policy prescriptions that are a train wreck of failures. In response to the Greek debt crisis, the technocrats and politicians in the Eurozone imposed austerity measures on Greece that sent that nation’s economy into a severe depression, while exporting a banking crisis to Cyprus. And now, in response to the banking calamity in Cyprus, the Eurozone policymakers are set to repeat the same formula on that embattled Island. In the past two years in which the Eurozone has been afflicted with a profound economic and debt crisis, the monetary union’s policymakers have had nothing else to offer except for their own unique version of a circular firing squad, which continues to spread the contagion of economic contraction as a misbegotten cure for all that afflicts the Eurozone. Cyprus is only the latest victim of such ill-conceived decision making in Brussels, and will certainly not be the last. As the Dow Jones surpasses previous records, in nominal terms, the striking contrast between fantasies on Wall Street, subsidized by the Federal Reserve, and what is transpiring in the real global economy is best demonstrated by the latest data emerging from Europe. The unemployment disaster in the Eurozone, a by-product of the Eurozone fiscal and debt crisis and austerity-driven policy prescriptions, continues to worsen. The official unemployment rate in the European monetary union countries has now reached 12 percent, a record level. While discordant and asymmetrical records are being recorded on Wall Street and in Europe, the very fabric of European society is fraying. The 12 percent unemployment figure is, of course, uneven. It is much worse in countries that are most afflicted by the sovereign debt crisis, especially Spain and Greece. But the countries in the core of the Eurozone, in particular Germany, with more robust economies, cannot forever see their job markets immune. They are export dependent, and many of those exports are to countries in the Eurozone with legion of unemployed. 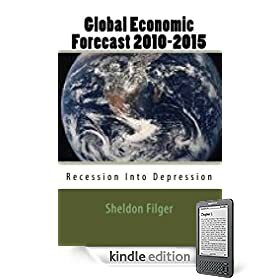 Inevitably, export-driven economies in the Eurozone such as Germany will see a day of reckoning within their own job markets, as the economic, fiscal and debt crisis continues to ravage the Eurozone with reckless abandon, most recently witnessed with the banking catastrophe in Cyprus.